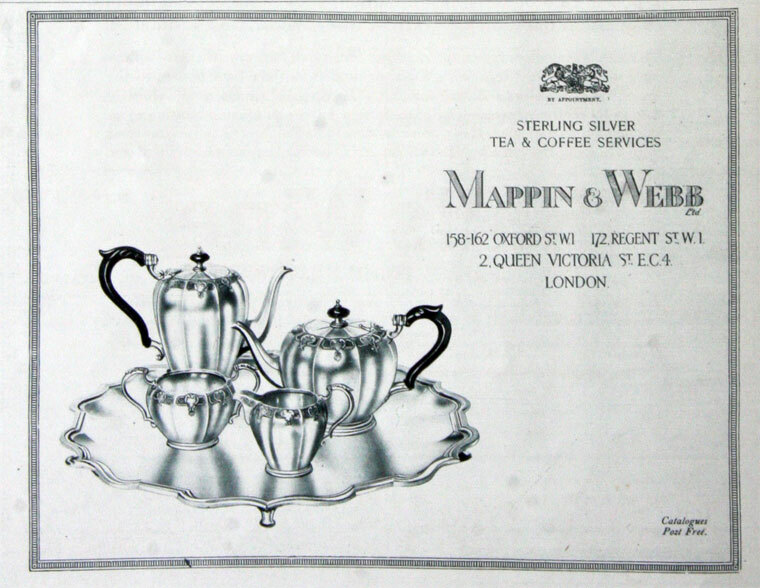 1774 Company founded by Jonathan Mappin who opened his first small silversmith workshop in Sheffield and the following year the Mappin mark was entered at the assay office. 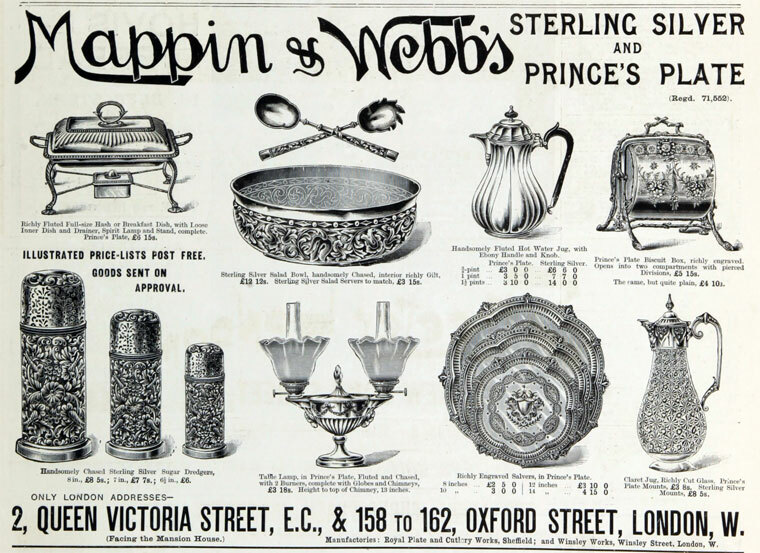 1841 On Joseph's death, the company was run by his eldest son, Frederick Thorpe Mappin. 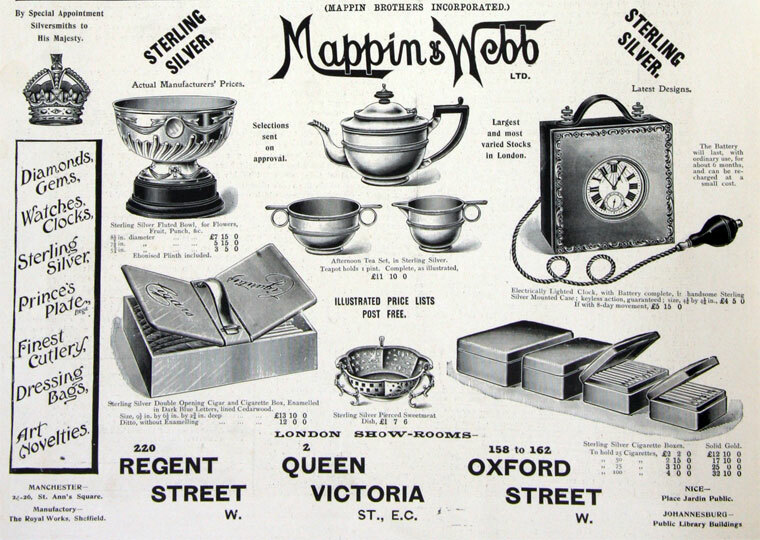 1849 The first store to be opened in London was at 17 Fore Street and was soon followed by stores in Moorgate and King William Street. 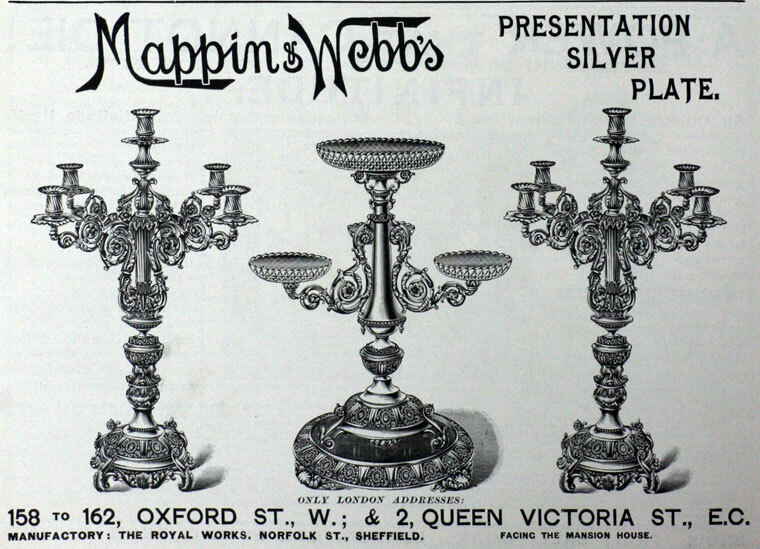 1858 Following rapid expansion of the Sheffield factory, John Newton Mappin invited his brother-in-law, George Webb to join him in the business. 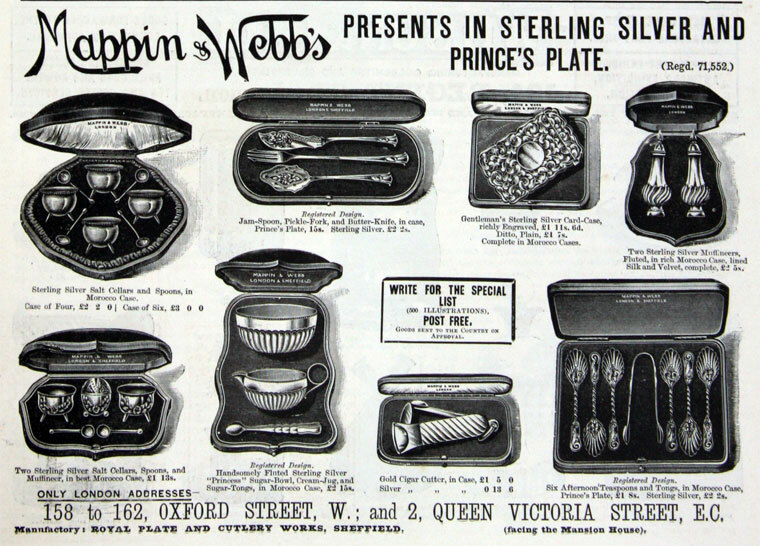 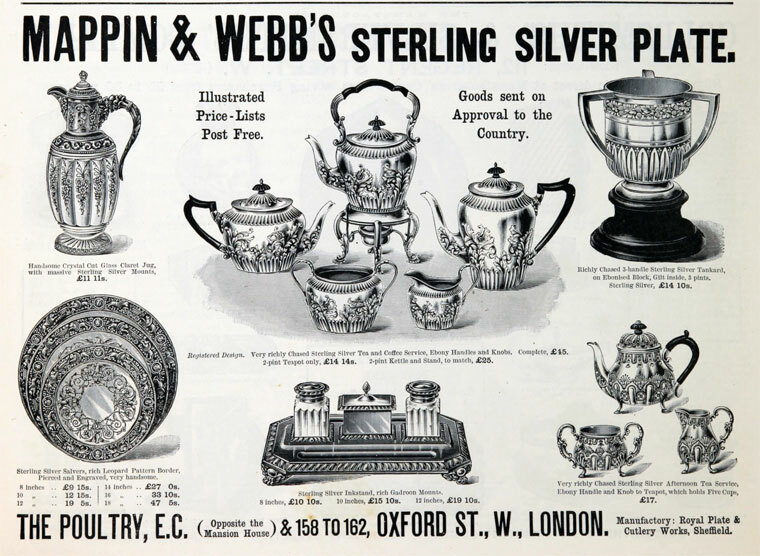 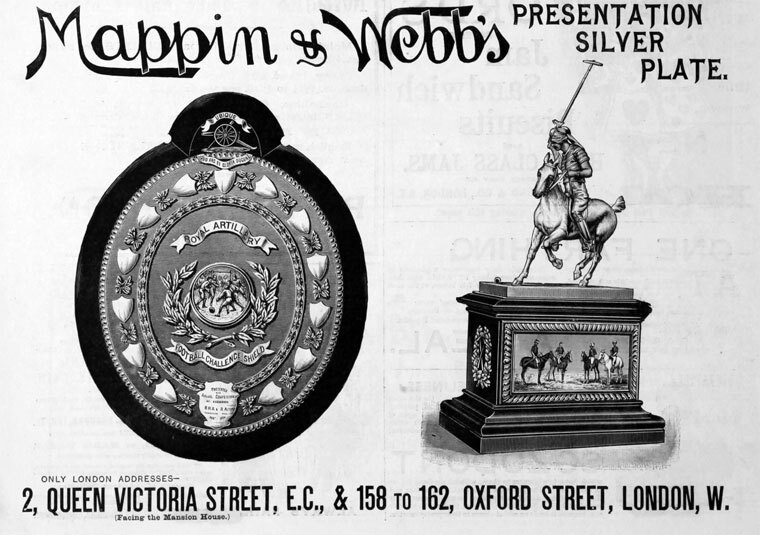 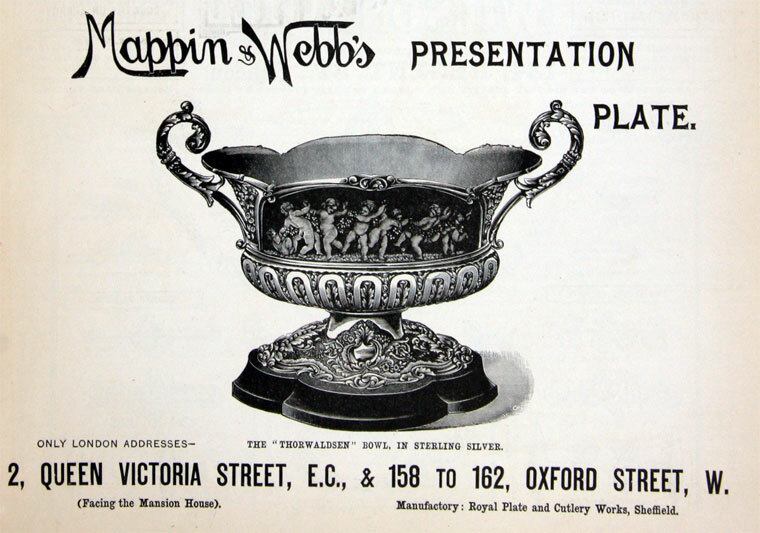 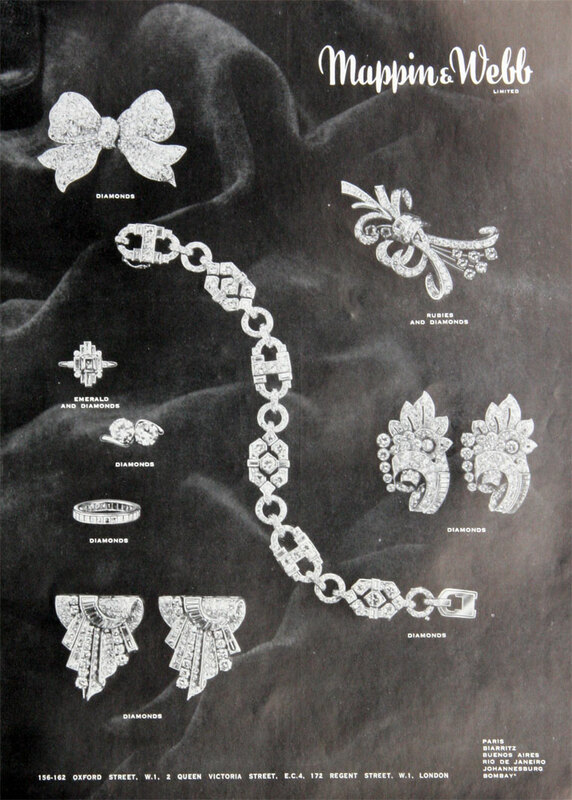 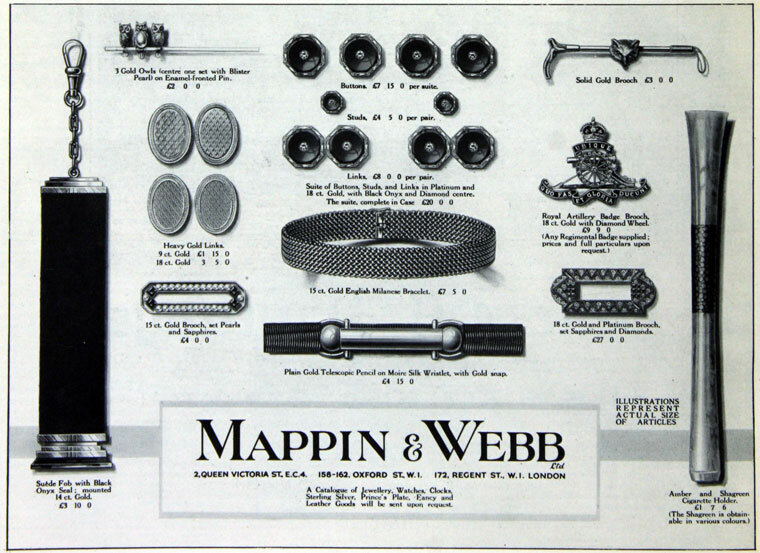 The first association of Mappin and Webb was forged. 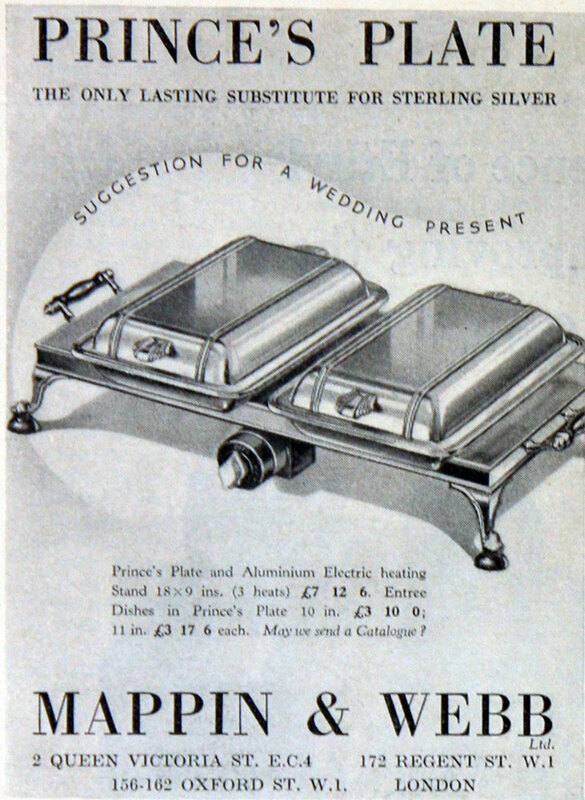 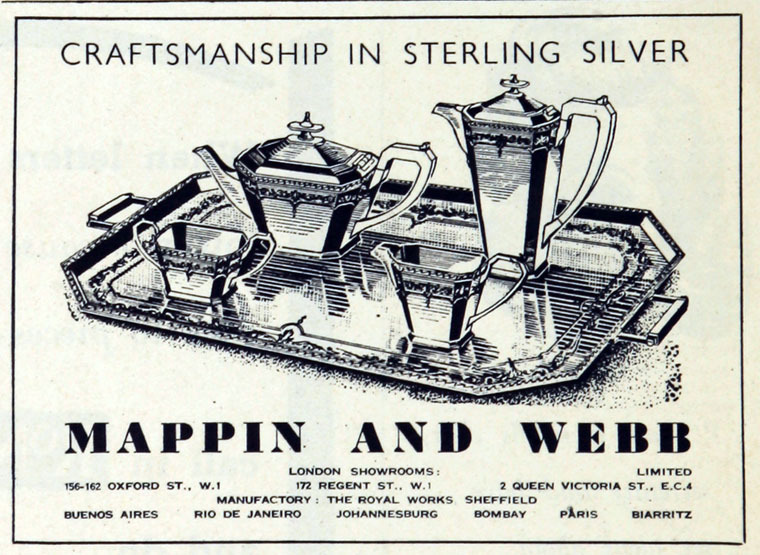 Another branch of the family operated at the same time as Mappin Brothers. 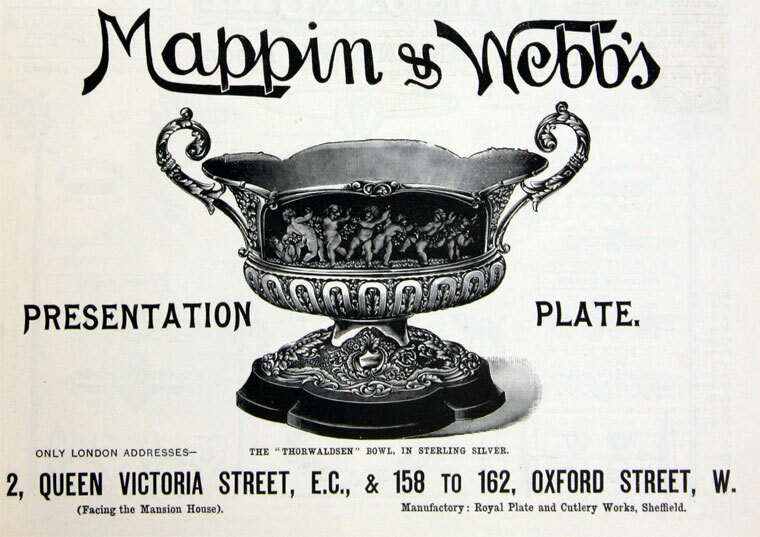 1860 Legal dispute between Mappin Brothers and Mappin and Webb. 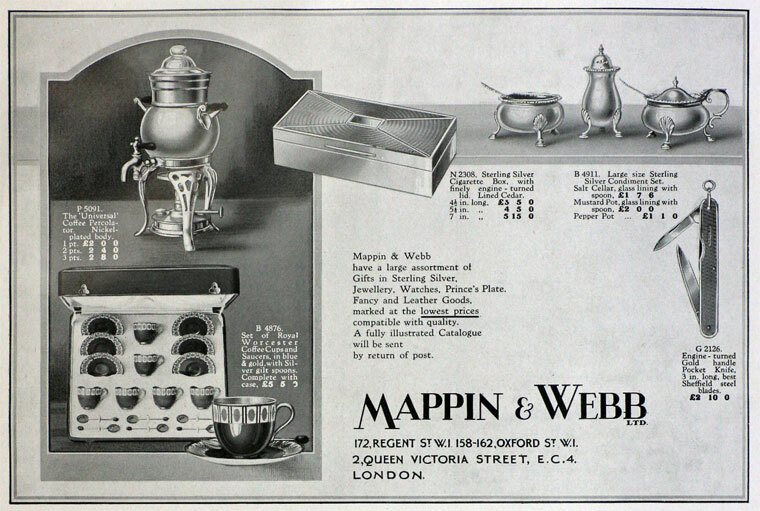 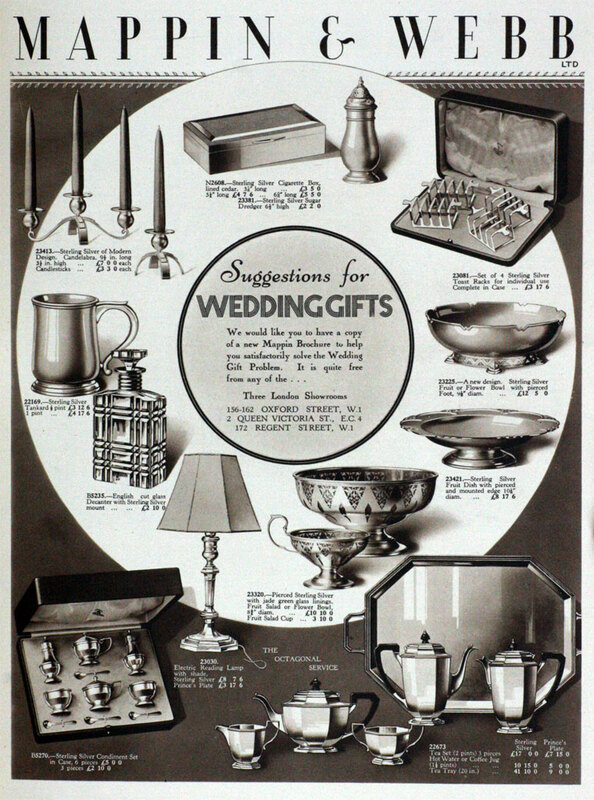 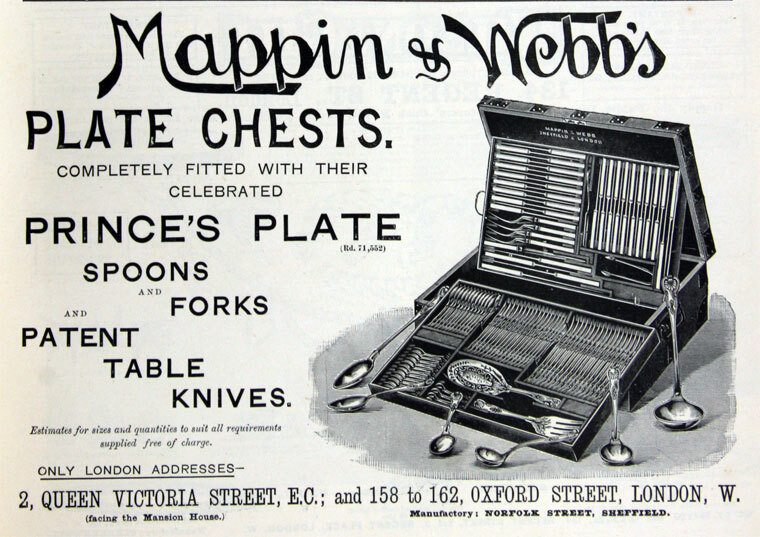 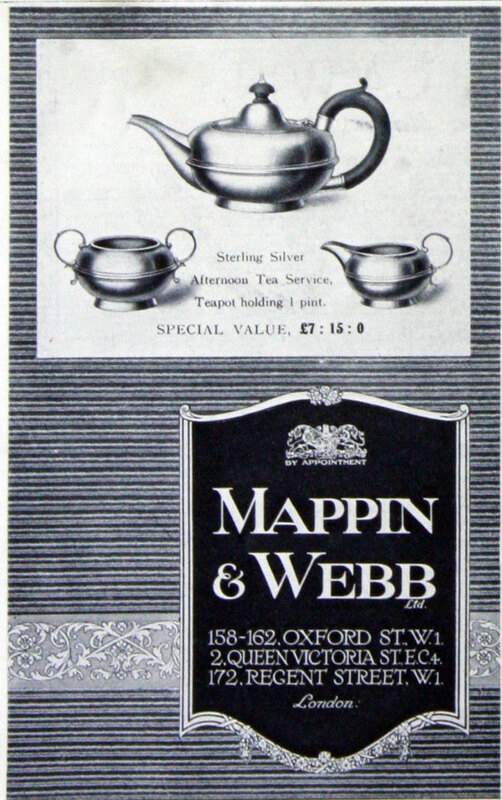 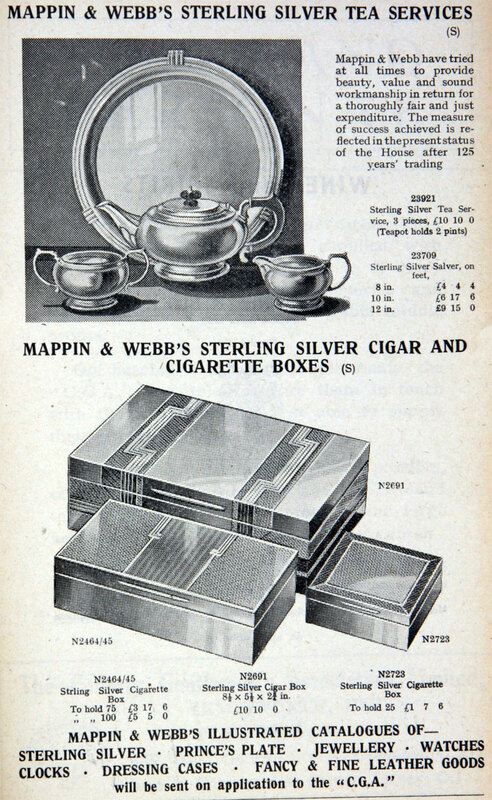 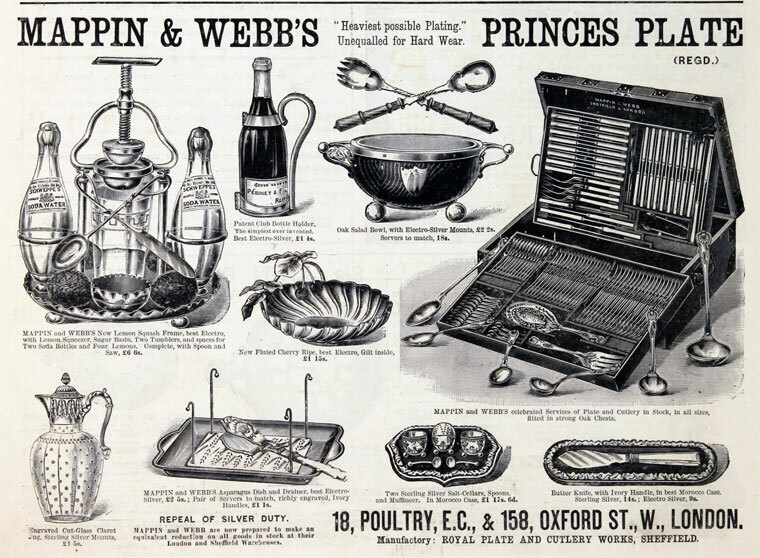 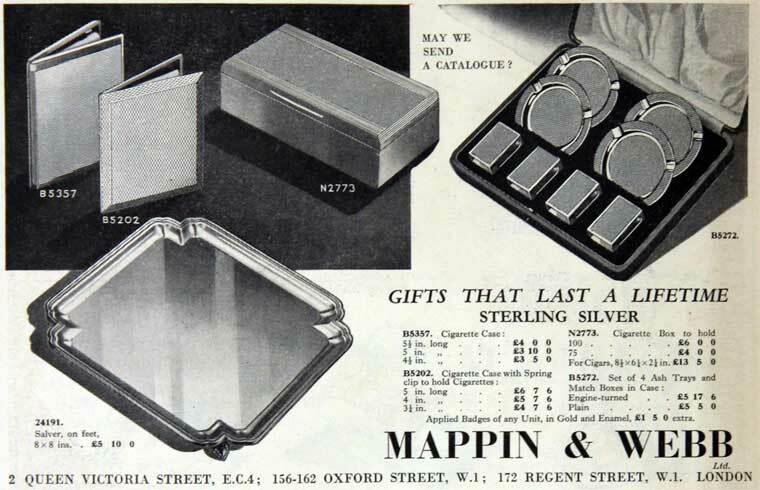 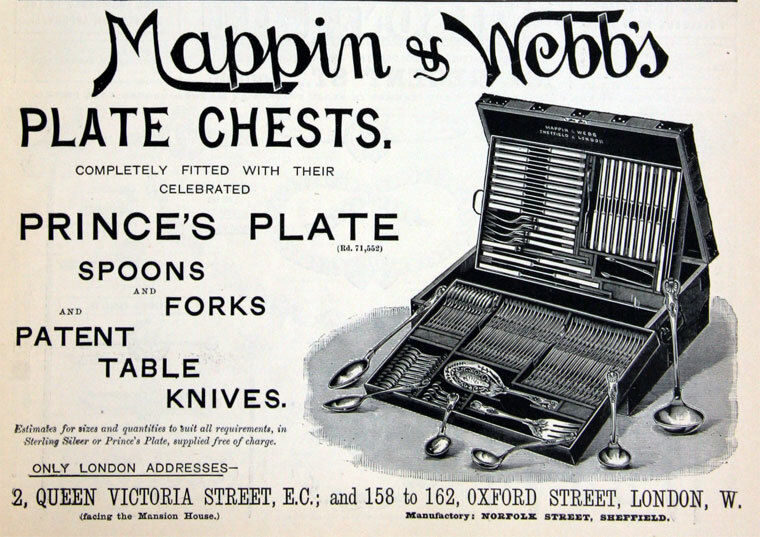 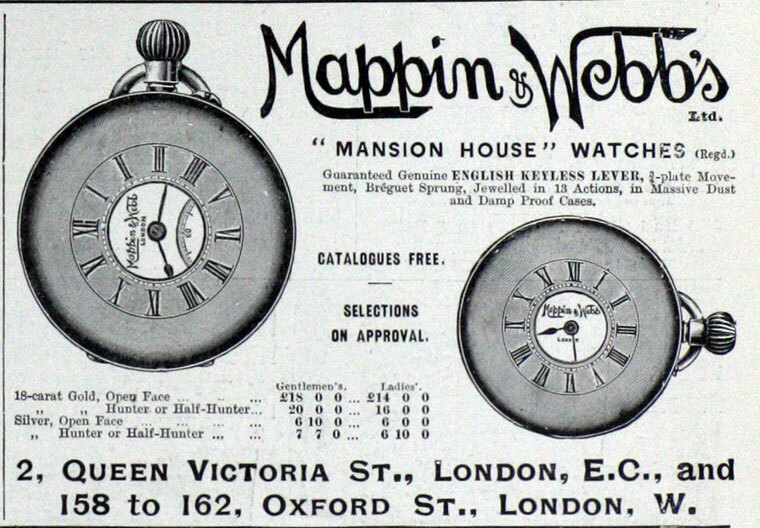 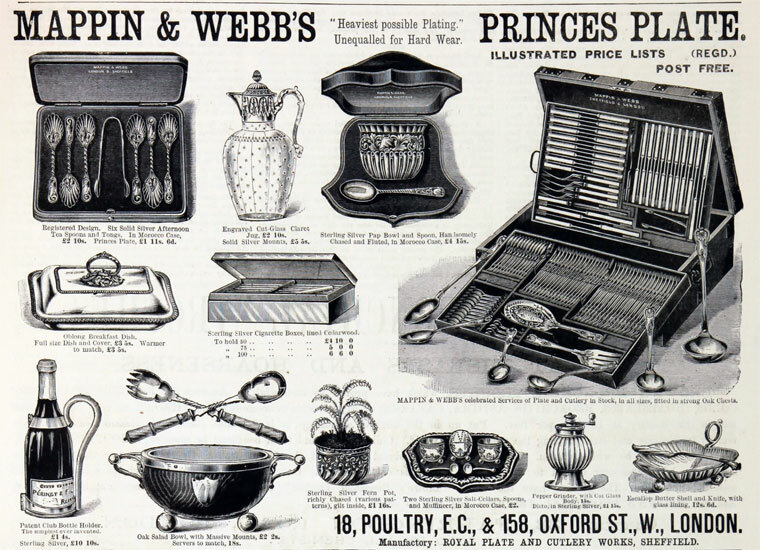 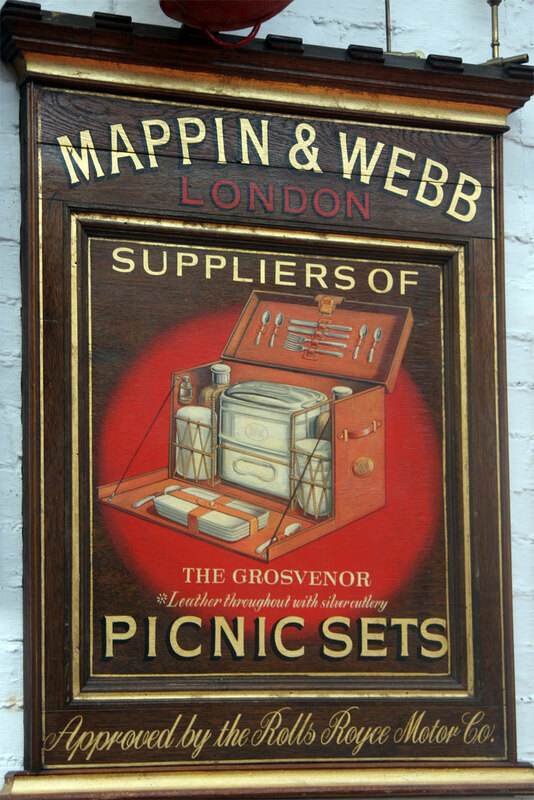 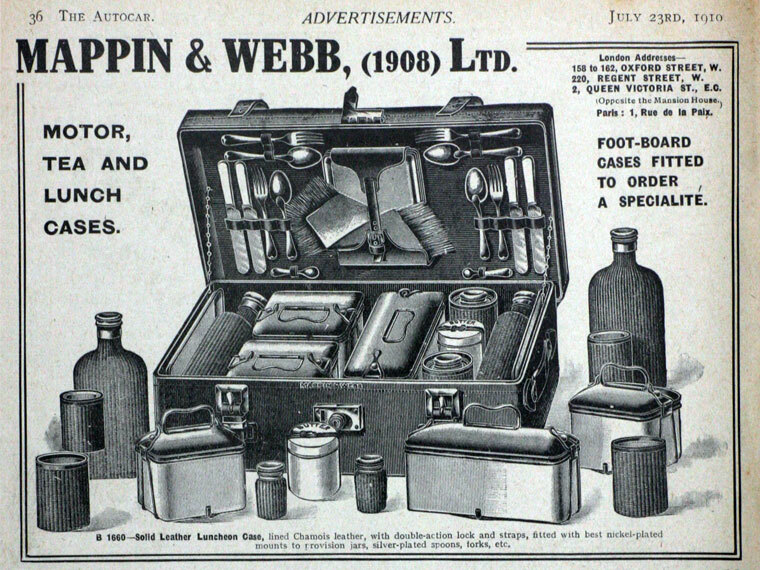 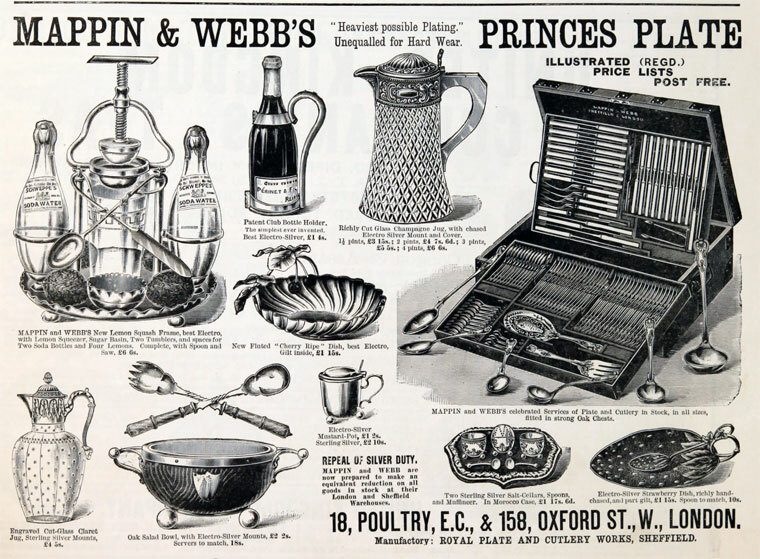 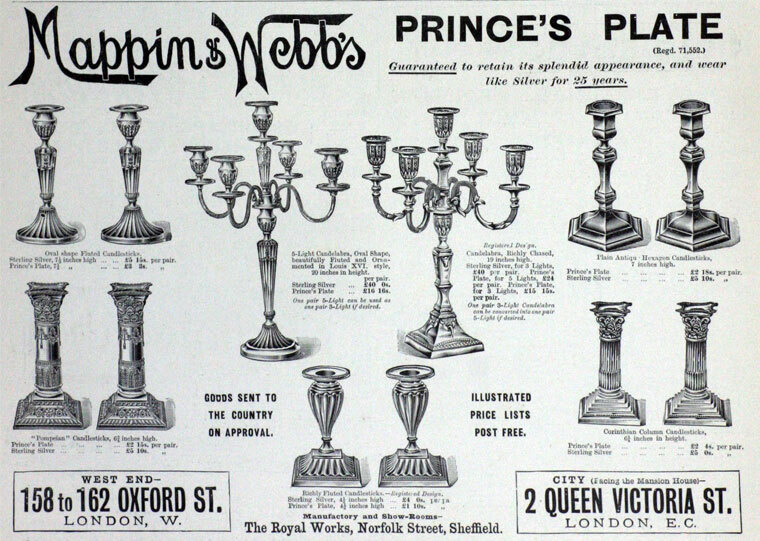 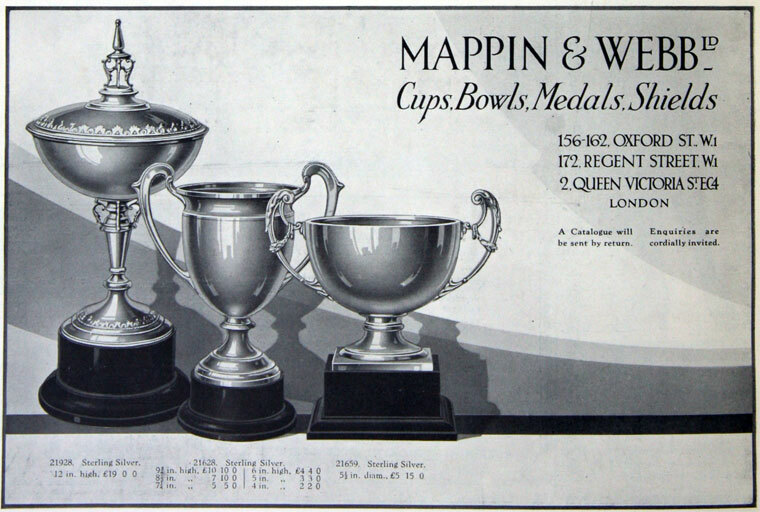 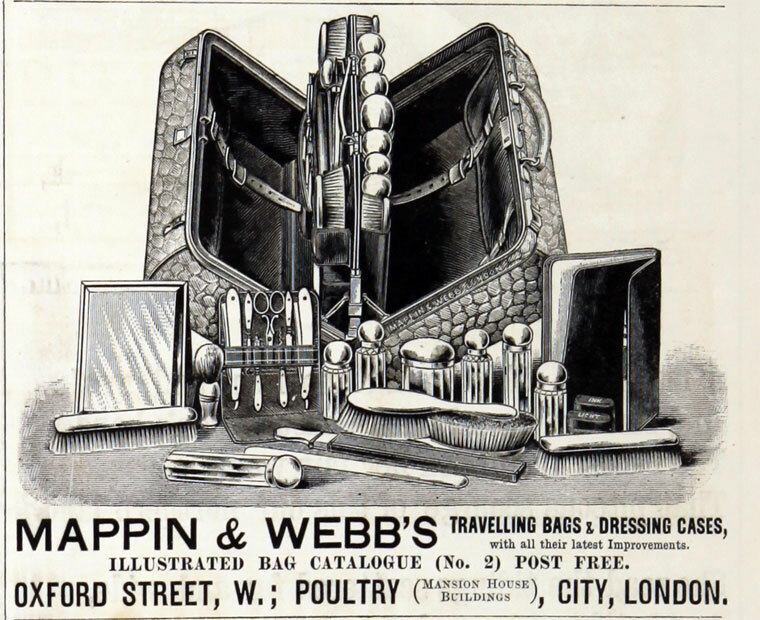 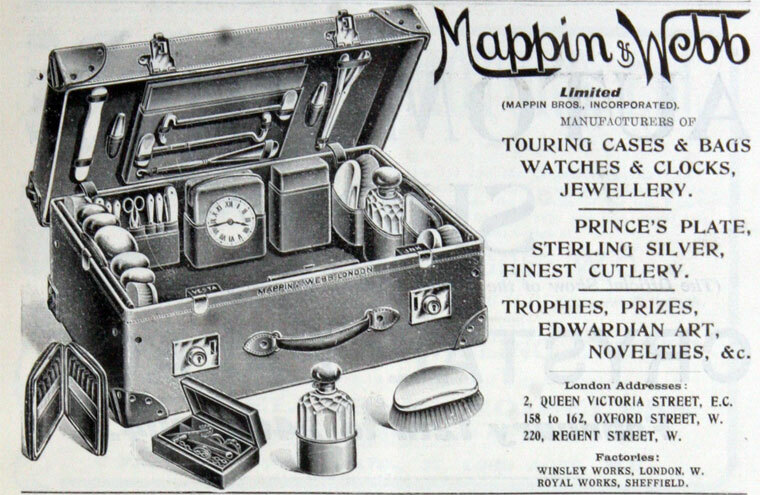 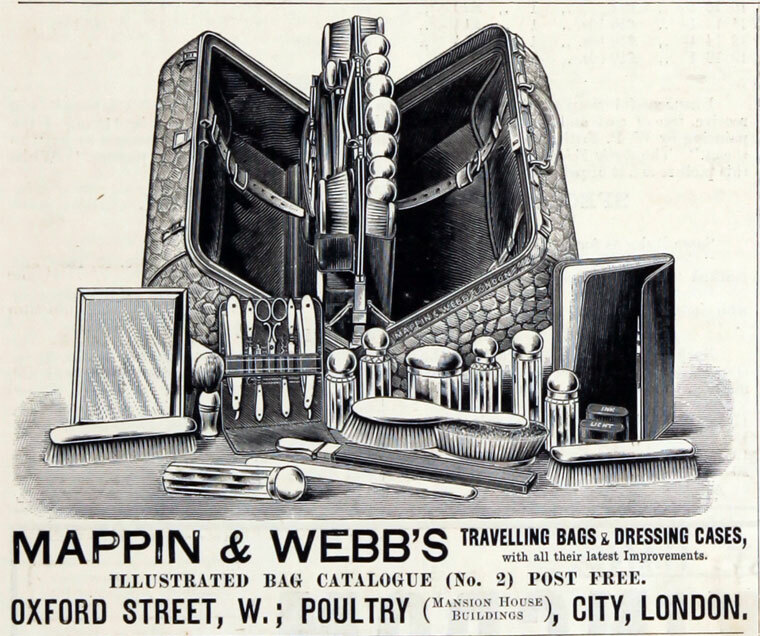 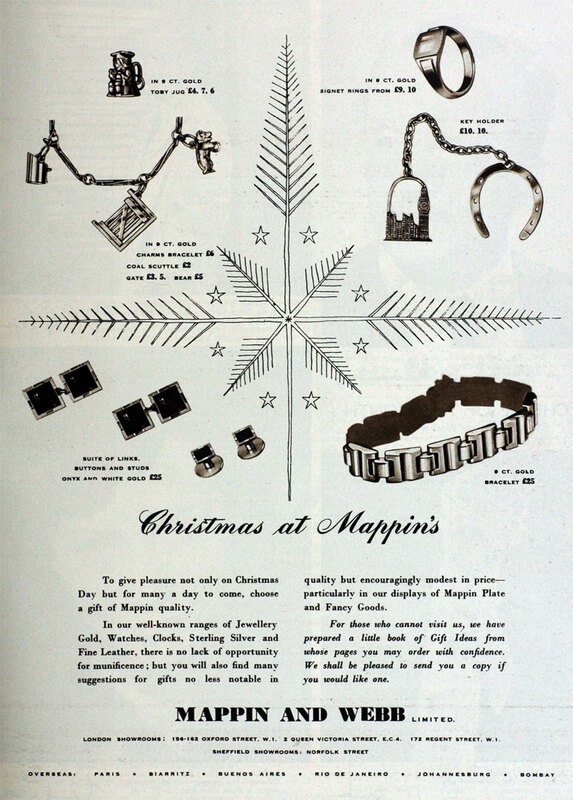 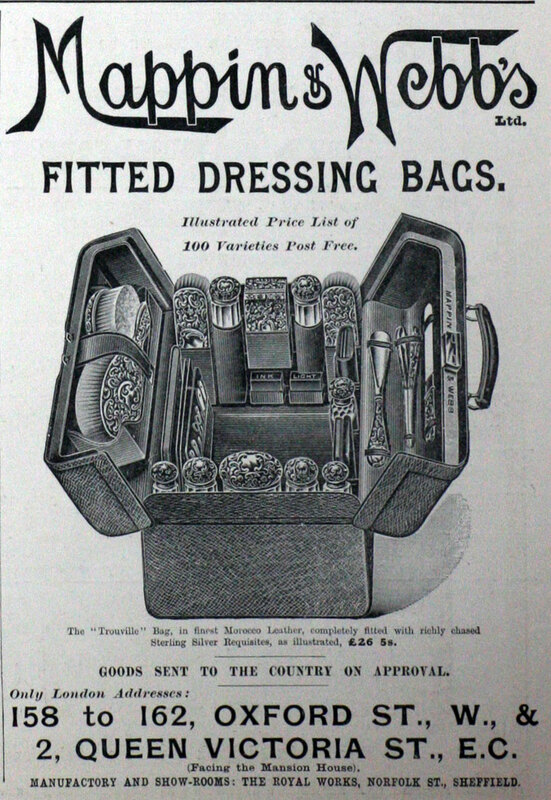 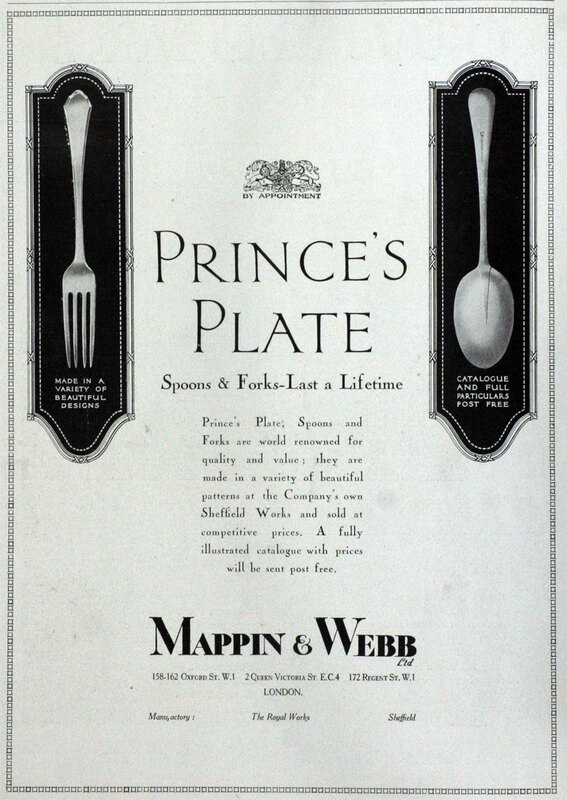 1902 The business of Mappin Brothers was acquired as from 30 September. 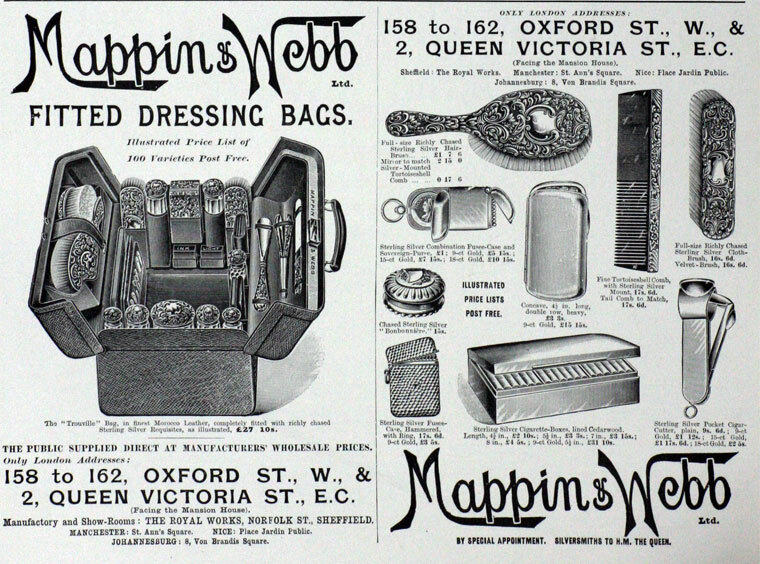 1910 One hundred year celebrations. 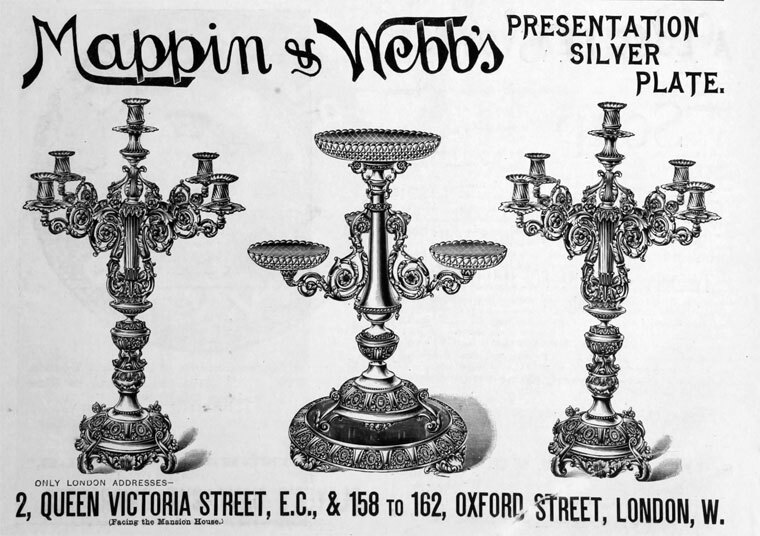 2008 The company is now based in Regent Street, London, and is an upmarket jeweller. 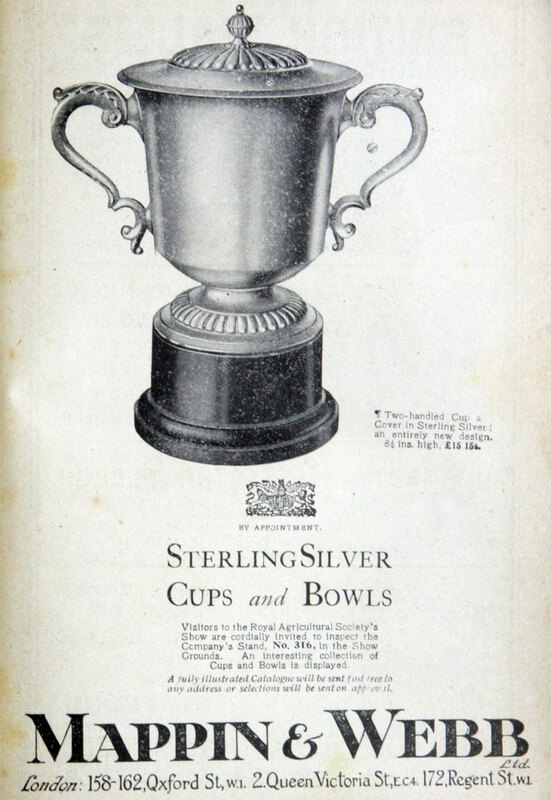 This page was last edited on 2 May 2018, at 10:14.